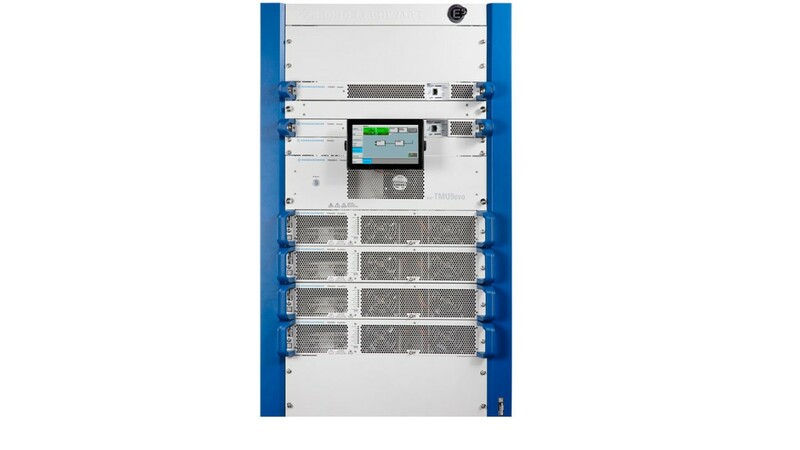 The R&S®TMU9evo air-cooled UHF transmitter represents the next level of development for the successful family of medium-power transmitters. Energy efficiency and reliability have been further improved, allowing network operators to achieve even greater operating cost savings throughout the product lifecycle. R&S®TMU9evo UHF transmitters achieve an energy efficiency of up to 40 %. 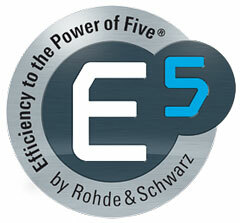 Years of experience and continual development have given Rohde & Schwarz complete mastery over Doherty technology, which the company has been able to utilize to the greatest advantage. 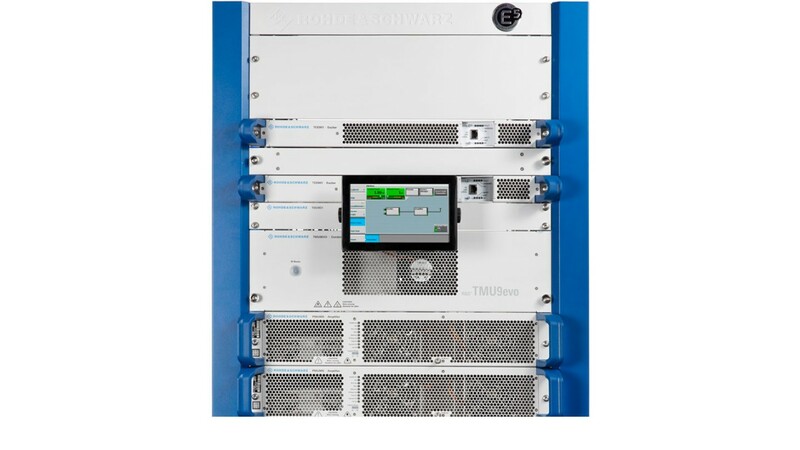 The R&S®TMU9evo makes low demands on the cooling and energy supply and is therefore ideal for use in environments that do not have a typical transmitter site infrastructure. 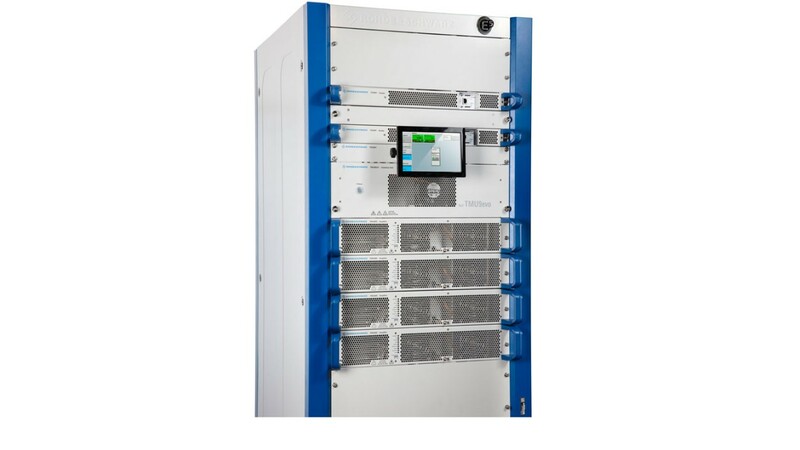 The transmitter's compact design allows the R&S®TMU9evo to be easily installed into existing racks, and its excellent energy efficiency removes the need for costly cooling systems. Thousands of R&S®TMU9 transmitters are in operation around the world. Every day, they are proving that they deliver the highest reliability. 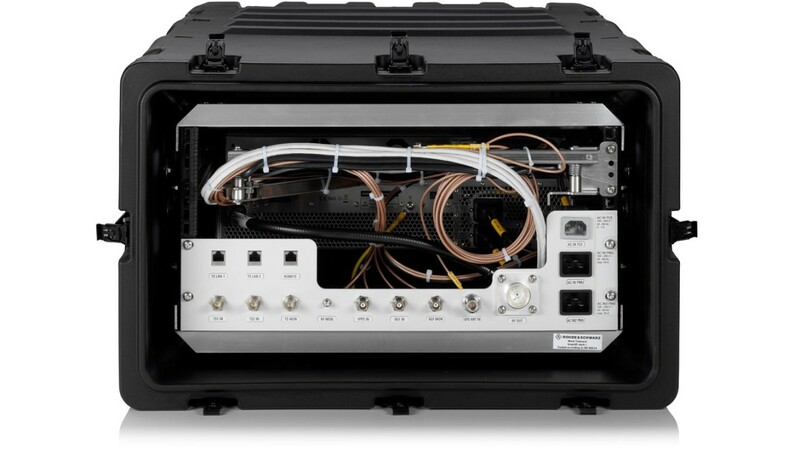 The R&S®TMU9evo demonstrates the same level of reliability, keeping off-the-air time to a minimum. 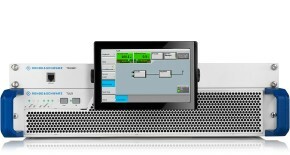 Intelligent efficiency optimization from Rohde & Schwarz maximizes efficiency in changing environments, either at the press of a button or adaptively. When changing channels or adjusting the transmitter power, efficiency optimization ensures that energy costs are minimized at all times. 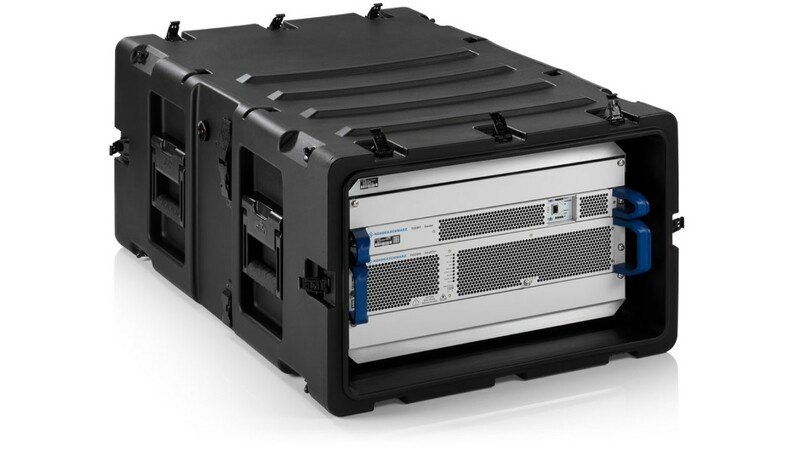 The R&S®TMU9evo features all of the proven strengths of the market-leading R&S®TMU9 platform. 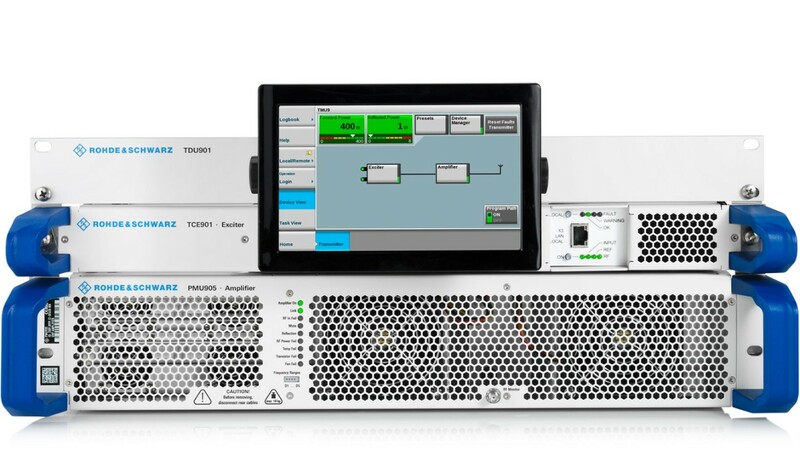 The transmitter retains the successful and proven R&S®MultiTX concept along with the R&S®Tx9 generation’s intuitive graphical user interface (GUI), which is closely aligned with user requirements and work habits. The R&S®TMU9evo tracks its performance with built-in analysis capabilities such as efficiency measurement and integrated signal analysis. 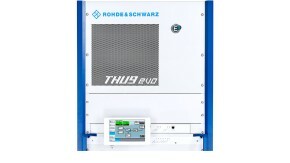 These features offer instant feedback on operational parameters through a self-monitoring function. This ensures a consistently high quality of service and minimal operational costs. 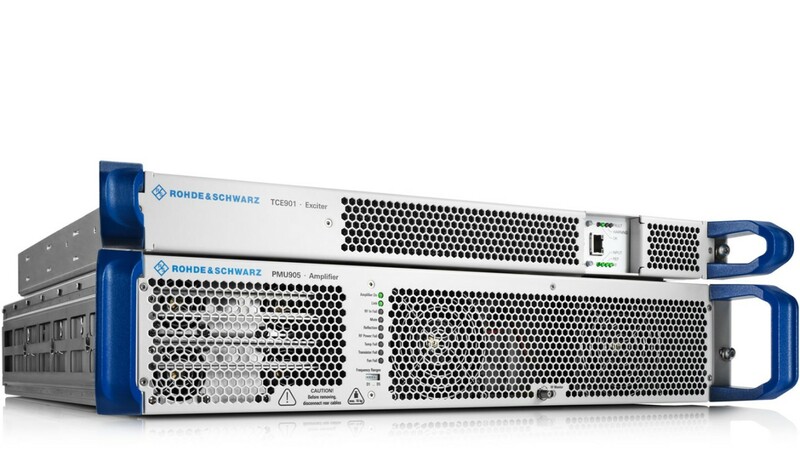 The Rohde & Schwarz exciter solution relies on a pure software based approach that ideally prepares network operators for ATSC 3.0. 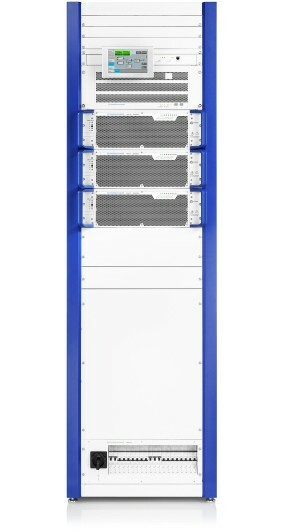 Based on a high-performance IT server, it enables network operators to optimally leverage the full capabilities of the standard and to flexibly respond to future signal processing requirements. 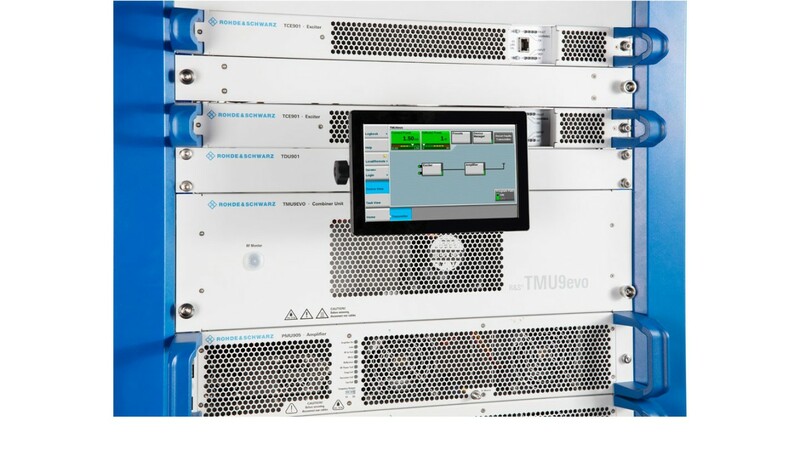 The R&S®TMU9evo graphical user interface (GUI) offers broadcast network operators the convenience they want and need when installing, commissioning and operating transmitters. Together with the intelligent efficiency optimization, this reduces network operator costs and maximizes operational convenience.